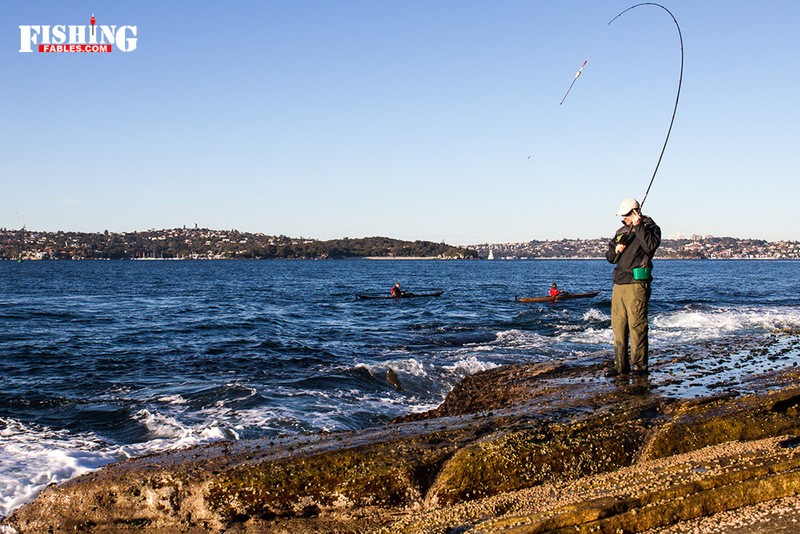 So it was with high hopes that my fishing buddy Greg and I ventured onto the rocks on a cold winter’s morning. The tide was low and we scouted the rock ledges to collect the green weed that blackfish feed on. 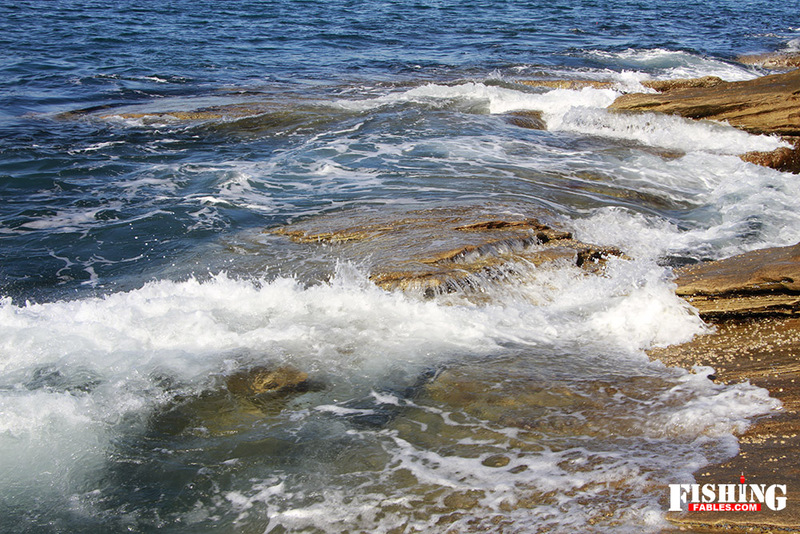 There was a slight swell rolling through, with just enough wave action to stir up a few patches of white water. Greg’s float was the first to disappear and the bend in his fishing rod signalled a decent fish. It was a solid bream. 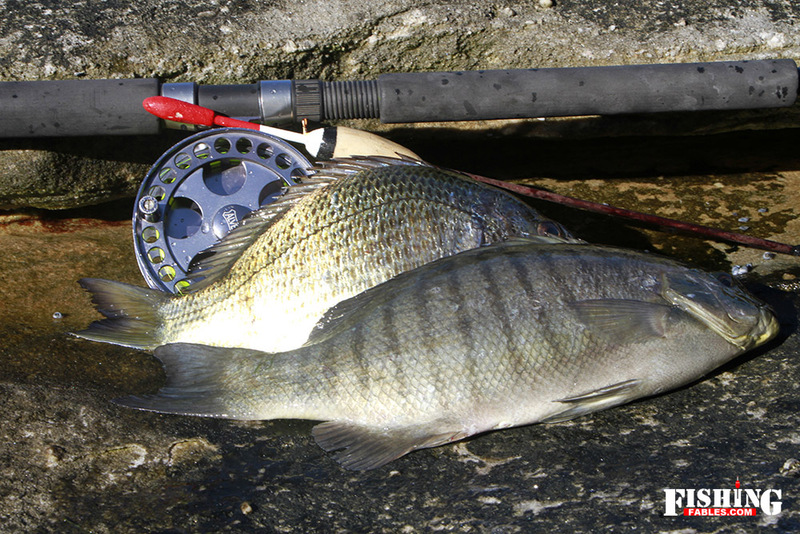 I’d heard about bream being caught on green weed but had never seen it before. After an exciting start the fishing was slow for the rest of the session. We hooked up to a few small blackfish here and there, but nothing to write home about. 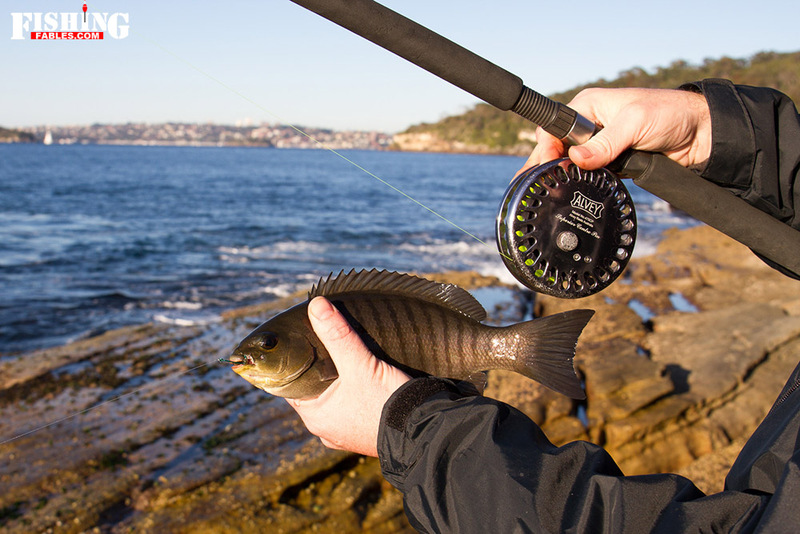 Towards the end of the morning I landed a good blackfish, my biggest this winter. 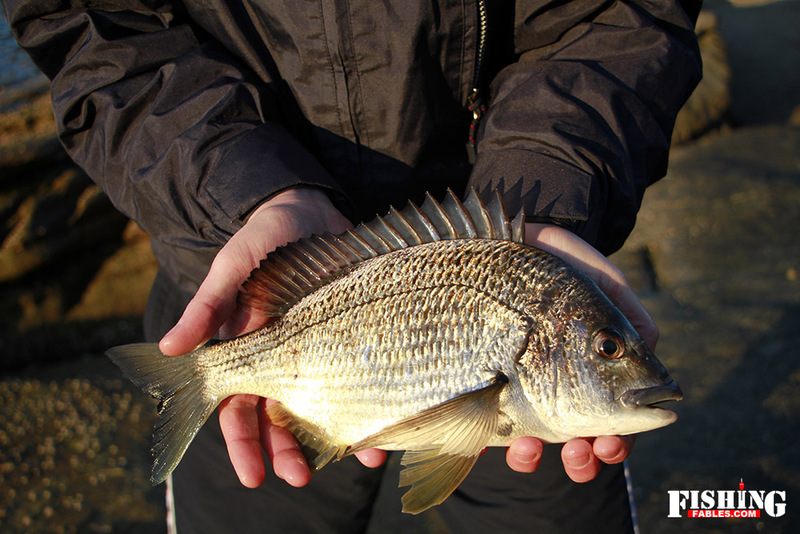 Together with the bream (kindly donated by Greg) it meant dinner for the family. cool! bream on weed? how’d it taste? We baked the bream Thai-style. Tasted great.